Join this 4 week Women's Study Group as they discover what Christmas is all about. Provide a place for your soul to grow in an understanding of "Someone nursed him... laid him in the manger...& brought him to Egypt." Christmas, told as a relationship with the Holy Family, with experiences common to your own life. Small groups will meet on Sundays 10:30am - Noon, Tuesdays 9:00am -10:30am, and Thursdays 6:00pm - 7:30pm. Choose the time that best fits you. Childcare will be provided during the Sunday and Tuesday meetings. 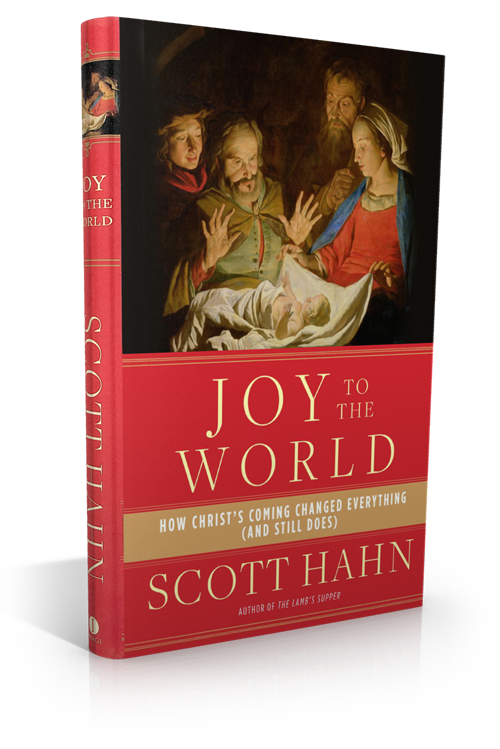 "In Joy to the World, Scott Hahn reveals Christmas to be a story about family. Christmas is surely about Jesus, but it's also the story of his family. Someone nursed him, laid him in the manger, brought him to Egypt. Christmas, as told in the New Testament, is the story of a father, a mother, and a child - their relationships and their life in common. This earthly trinity gives us a glimpse into heaven. Jesus invites us to join his family. Scott's biblical insight and exciting storytelling brings fresh insight into the meaning of Christmas."